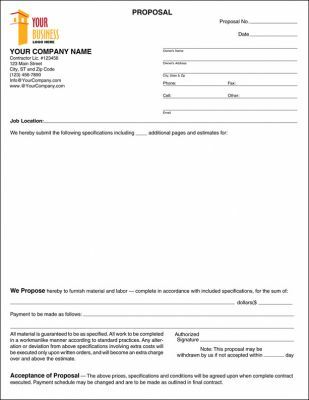 The contractors proposal form was designed for keeping a full record of the details discussed between the contractor and the client. Easily record the potential customer's information at the top of the form as well as the technician or architect responsible for carrying out the project. There are plenty lines in the center for writing a detailed description of every aspect of the job. 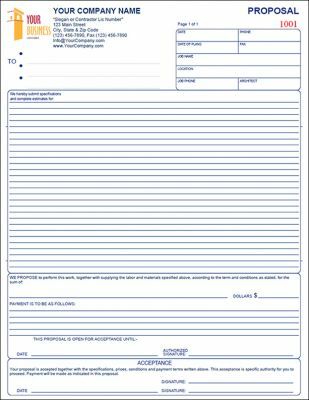 This contractor's proposal form also has a section for recording the payment options and mounts as well as areas to sign. Change orders are written orders when changes to the scope of work outlined in an original proposal or project contract. In general, they're used when either the client or the contractor decide changes must be made in order to complete the project, or when the definition of what constitutes a finished project changes. The change order describe the changes and signed by both -or more- parties, avoiding legal problems along the way. This change order has a contemporary design, easy to read and with plenty of room to note the changes. 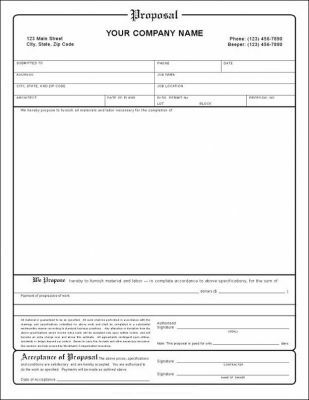 Easily customizable with your own information and use as a computer fillable PDF form or Word document or fill at job site by hand. This is a classic, all purpose, fillable, sub contractor proposal agreement form. 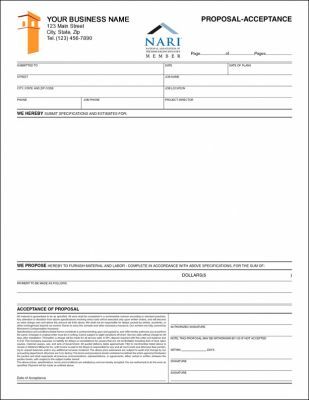 The form provides ample space for all aspects of your project, including itemized costs, job specs & payment schedule.Signature line for customer authorization prevents disputes along the way. General purpose, fillable Proposal form with specification sheets giving you plenty of room for images, drawings to help outline the work to be performed. Easy to personalize using Microsoft Word or free Adobe Reader to meet your personal business needs. 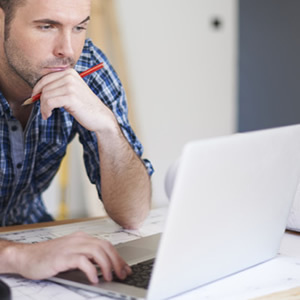 This detailed project or work proposal allows customers to see exactly what a particular HVAC contractor is promising to do (and at what cost). Avoid confusion and provide clear proposals straight from your computer allowing the contractor to manage customer expectations avoiding customer misunderstandings or disputes along the way ensuring smooth job/project transaction from start to finish. This proposal also provides 5 additional pages which allow you to record all proposal specifications and necessary drawings. This is a classic, all purpose, fillable proposal form. Provides ample space for all aspects of your project, including itemized costs, job specs & payment schedule.Track customer acceptance. Signature line for customer authorization prevents disputes along the way. A modern and sleek design makes this an easy to read proposal, easily customizable with your own information and use as a fillable PDF or Word document. General, All-Purpose, fillable proposal used by contractors. 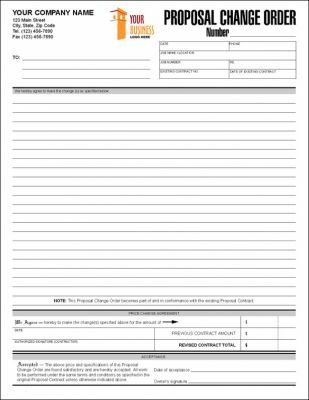 The form contains room to record customer information and plenty of room to describe the project in detail, to allow the customer to see exactly what the contractor is promising to do, space to record payment details with industry standard terms and conditions, project termination days and signature lines for company and customer. 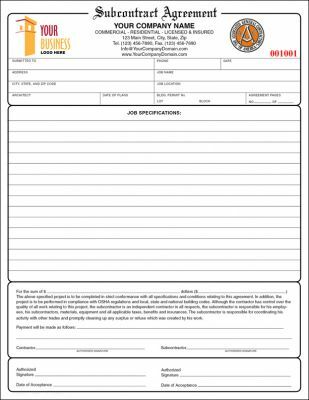 An all purpose, fillable proposal form, can be used for remodeling jobs or anything other type of home improvement work. Provides space to record customer contact information, proposal details, location and approximate starting and project completion dates. Provides ample space to write your proposed job specifications and estimates so that customer is aware of all that contractor is promising to do. It also has an exclusive section to write down things that the job does not include. At bottom there is a general, industry standard, terms and conditions, payment method and payment schedule(s) and signature lines for customer authorization prevents disputes along the way. This fillable proposal is designed to keep a full record of the details discussed between the contractor and the client. 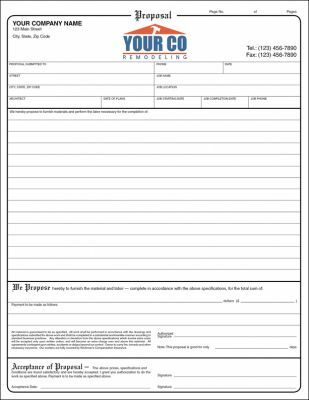 Easy to record the potential customer's information at the top of the form as well as job or project information. The form was designed with extra lines in the project description area giving you ample room to describe the project or job, in detail. Payment and payment terms and schedule is also included, again, with plenty of room. Followed by industry accepted terms and conditions and signature lines. 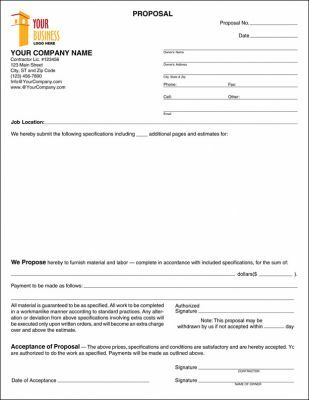 General, All-Purpose, fillable proposal form for use by most trades such as, construction, tradesmen, skilled labor, professionals and all home remodeling trades. Easy to customize using free Adobe Reader to meet your business needs. This detailed project and work proposal allows customers to see exactly what a particular contractor is promising to do (and at what cost), while also allowing the contractor to manage customer expectations avoiding customer misunderstandings or disputes along the way ensuring smooth job/project transaction from start to finish. Tip: A strong proposal has an attractive, professional, inviting appearance. In addition, the information should easy to access. A second attribute is substance. A strong proposal show it has a well-organized plan of attack. A strong proposal also has technical details because technical depth is needed to sell your project. Remember: A proposal is a persuasive document. 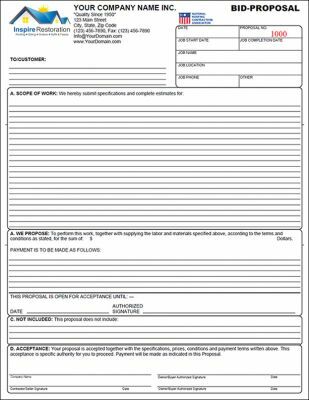 General purpose Proposal fillable form for use by most trades such as, construction, tradesmen, skilled labor, professionals and all home remodeling trades. Easy to customize using free Adobe Reader to meet your business needs. This fillable proposal is designed to keep a full record of the details discussed between the contractor and the client. 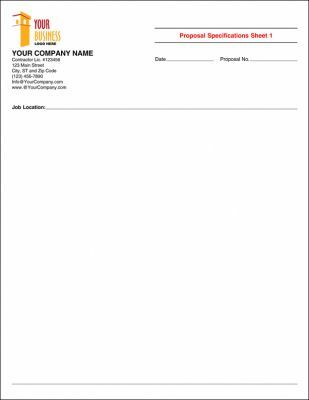 Easy to record the potential customer's information at the top of the form, the date, proposal number, job start and approximate completion date, job name, location, etc. The form was designed with extra lines in the project description area giving you ample room to describe the roofing project or job, in detail. Payment terms and payment schedule is also included, again, with plenty of room. It also includes a section of things NOT included in the bid proposal, to avoid any confusion after the fact. Followed by industry accepted terms and conditions and signature lines.